Preview this exciting new book today, with your exclusive FREE PREVIEW CHAPTERS. Easy-to-understand explanation of business vocabulary, business rules and business processes … and how they relate! Analyze and manage each of the two major kinds of business rules. Analyze and define business concepts, model business vocabulary, and create a concept model. Make business processes smart and agile. Introducing ConceptSpeak™ … the breakthrough approach for developing concept models and developing business vocabularies. This concise, easy-to-read handbook presents a groundbreaking, common-sense approach to solving today’s operational business problems. Find out why current IT methods have broken down and no longer scale. Here are proven answers. Get your company on the road to true business agility! The classic work on business rules by the world’s leading authority … now updated with the very latest. 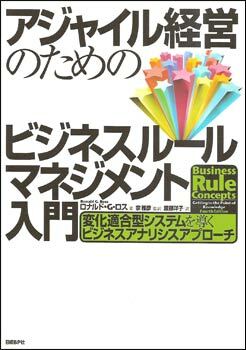 Celebrating the 10th Anniversary of the Business Rule Manifesto … now in over 15 languages, read by well over 100,000 people worldwide. Find out what readers and industry gurus have been saying about Business Rule Concepts. Click to order your copy from Amazon.